A Perfect Place For A Hearty Gossip With An Exceptional Variety Of Tea! A quaint and tranquil cafe, pouring an exquisite collection of teas. 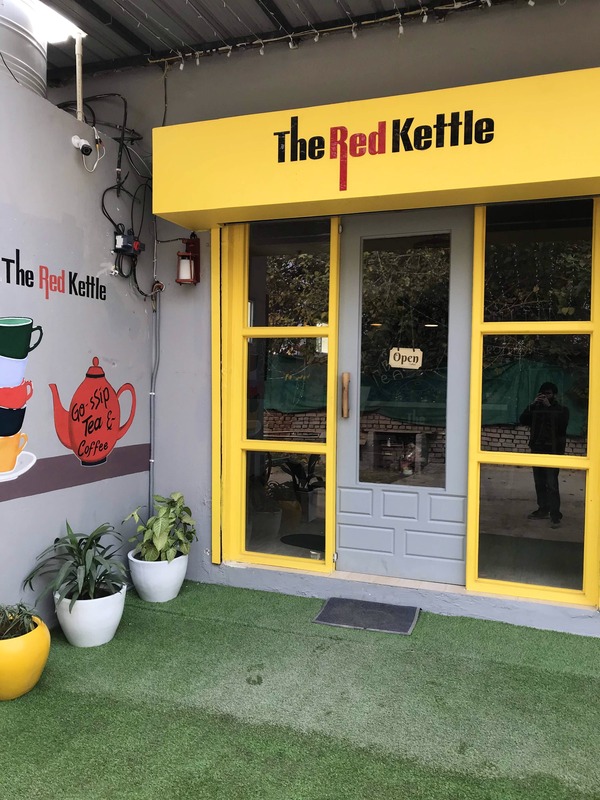 Red Kettle is beautiful in a very homely way and serves delicious food. That's not all, they have an interesting collection of books for all the bibliophiles like us! Try the Olive- Lemongrass tea, known as Modern day elixir. Their very descriptive menu will help you to choose the perfect one. Fruity chai, Sehatmand chai, videshi chai and bemisaal chai are just some of the other options available here. Salads are a must try here. Order the barley pearl salad and you are in for a (healthy) treat! Trust us, salad never looked this beautiful or tasted this good. Mushroom toast - Toast loaded with mushrooms, tangy and spicy. Pair it with their Honey Banana shake for a complete meal. End your day with their melt in the mouth brownie. This place is perfect to have a hearty gossip session with your best friend or perhaps a date with your bae.